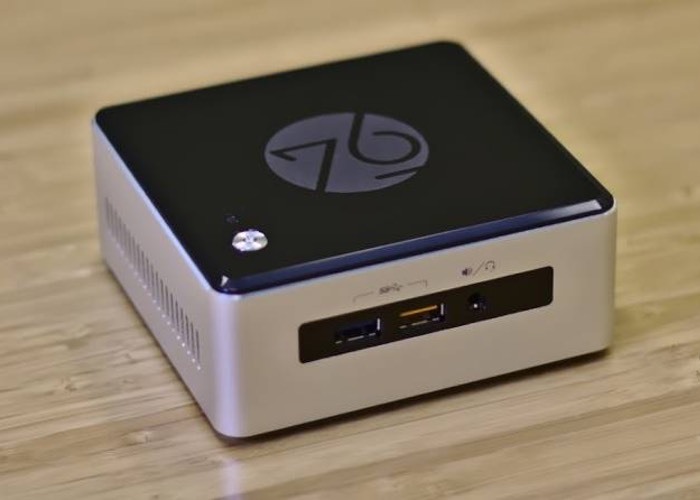 A new Linux Mini PC called the Meerkat has been unveiled this week by PC builder System76, which has been equipped with an Intel Broadwell processor and will be available to purchase later this month around March 19th 2015. The Meerkat will be launched offering different processor options in the form of either an Intel Core i3-5010U supported by Intel HD 550 graphics or a Core i5-5250U processor supported by Intel HD 6000 graphics depending on your requirements and budget. Other features of the new Linux mini PC that is supplied running the Ubuntu Linux operating system and measures just 4 x 4 x 2 inches, include the ability to install up to 16 GB of RAM. Together with up to 2TB of internal storage using the supplied M.2 for solid state disk (SSD) storage or the 2.5 inch drive bay for the inclusion of a more traditional hard drive or another SSDs. Connections on the small desktop mini PC include 4 x USB ports, Gigabit Ethernet, HDMI and DisplayPort allowing users to connect two monitors to the system if required. Unfortunately pricing for the new Linux mini PC system has not been revealed as yet, although the system is expected to sell from around $500 and when it launches later this month.